Sachie was born and raised in Japan as a 3rd-generation Korean. She relocated to Hong Kong over 4 years ago after living in New York City for nearly 10 years. Whilst based in NYC, Sachie worked as a New York State licensed real estate agent. Before that she held senior sales positions with globally recognized luxury fashion designers within LVMH and MaxMara Groups. Her acute attention to detail along with her results-driven personality have allowed for her successful transition to Hong Kong’s equally fast-paced, demanding real estate environment. 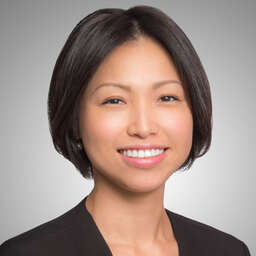 Raised within a family where both her father and brother are successful residential real estate developers, Sachie’s passion for high quality homes exceeds even her vast international work experience. Also having lived, worked and owned property within some of the world’s largest cities (New York, Seoul Korea, Japan and now Hong Kong), Sachie has first-hand knowledge of the excitement and challenges of renting/purchasing in a high-energy, rapidly evolving global city. Sachie’s professional approach, ability to think outside the box and her genuine understanding of clients’ needs all have allowed for her to offer the highest standard of services to her clients. On her free time, Sachie enjoys collecting and learning about wines, yoga and spending time with her two boys and husband exploring Hong Kong.